The Central Artery/Tunnel (CA/T) Project, also known as the “Big Dig,” was one of the most complex and costly urban construction project ever undertaken in the US. With construction that took nearly 15 years to complete, often occurring 24 hours per day near thousands of residences, the mitigation of community noise impact was a serious concern. Starting in 1992, HMMH served as the noise and vibration consultant for the construction management team with the task of providing on-call support to project management staff on technical issues related to construction noise and vibration monitoring, analysis, impact and mitigation. 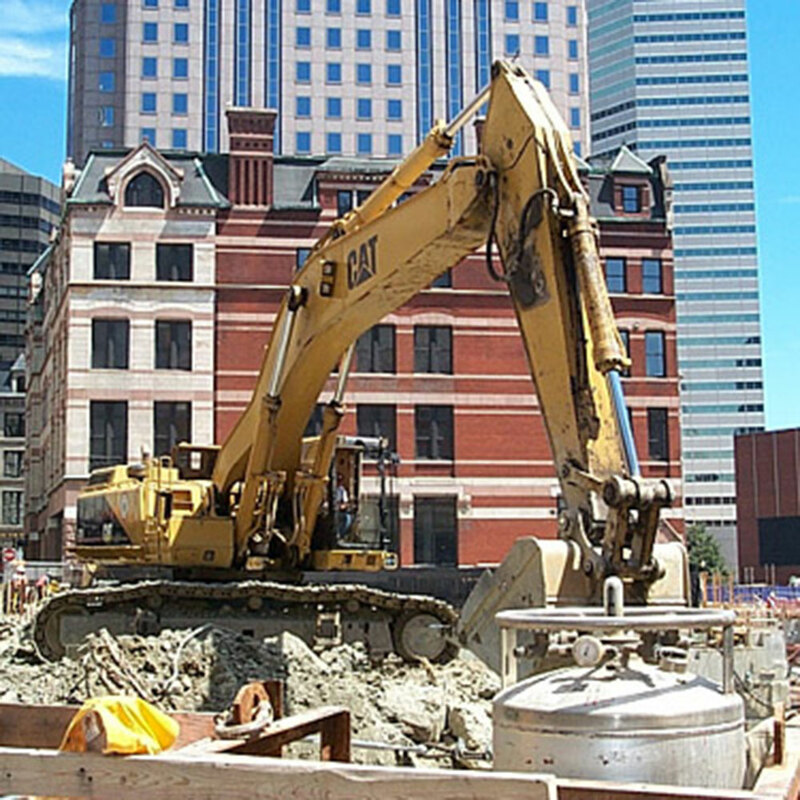 Based on recommendations from HMMH, the CA/T Project took a proactive approach to noise control, with the most comprehensive construction noise control specification of its kind in the United States. The individual contract specifications included sections on equipment and receptor noise limits, contract-specific mitigation requirements and required contractor submittals including noise monitoring, noise predictions and noise control plans. Construction management personnel, who performed submittal reviews and nighttime noise patrol observations, monitored contractor compliance with the noise control requirements. Combined with open dialog with the community and with government officials, this approach allowed the Project to anticipate and avoid construction noise problems without sustaining costly claims from the contractors.